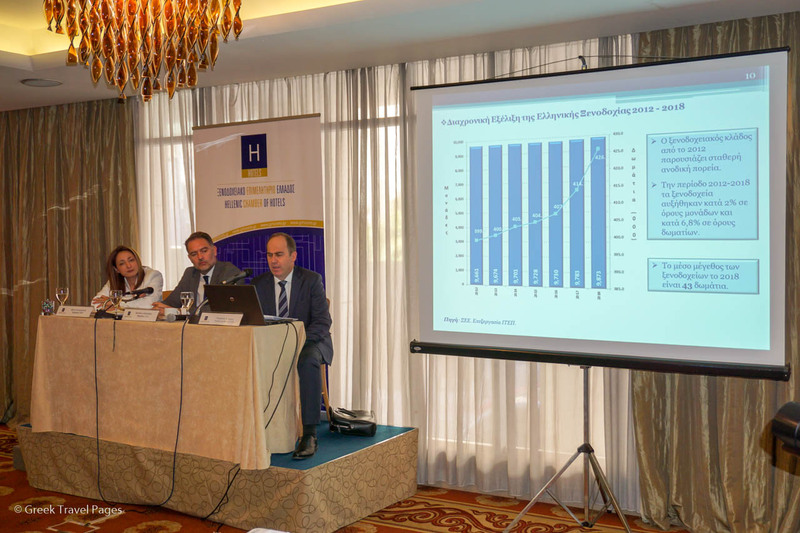 ITEP President Konstantina Svinou, Hellenic Chamber of Hotels President Alexandros Vassilikos and Panteion University Professor George Petrakos, presenting ITEP’s latest findings. Greece’s Institute for Tourism Research and Forecasts (ITEP) has entered a new stage and will operate more independently, offering even more research on the Greek hotel sector to professionals. An initiative of the Hellenic Chamber of Hotels, ITEP is a non-profit institute launched in 1996 to study the hospitality and tourism sector in Greece and other competing countries and provide useful statistics and data to the market. According to ITEP’s president, Konstantina Svynou, ITEP will maintain its direct cooperation with the hotel chamber to scientifically document its positions through valid and timely research, but at the same time will also evolve and operate independently. “ITEP is now coming closer to the tourism market, conducting research and field studies according to the needs of the market and the hotel sector,” Svynou told GTP Headlines. The institute, which maintains a rich documented database on hotels in Greece, is aiming to provide “big data” for the hotel sector. ITEP intends to now offer new research – regarding market trends and the development of hotel bookings – every three months. Svynou said that ITEP’s first study is expected to come out in the coming weeks. ITEP’s goal is to bring big data to the market and provide research-led solutions to the hotel sector. 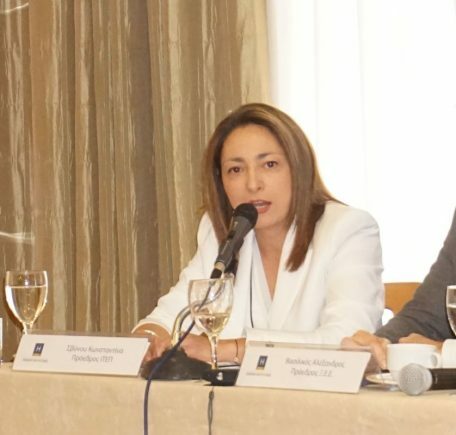 “We are now cooperating with university departments and have signed agreements with the hotel chamber and the Attica region,” she said, adding that the institute is currently conducting research regarding the relations and needs between hoteliers and clients. “ITEP is gaining extroversion, continuing its important mission and proceeding with collaborations in the tourism market,” Svynou added. ITEP’s close partners include Professor Giorgos Petrakos, a leading statistics expert.